During winter time, can’t you wait spring comes? When you think about spring, you will imagine the beautiful flowers bloom and feel happy. Don’t you want to have those feelings right now? Today I introduce the butterflies and Japanese cotton pearl earrings. These earrings are inspired by the image of butterflies are flying and having fun in the flower garden. The crystals on the butterflies are dewdrop from leaves in the morning. All the creatures in the spring are in these earrings. You can feel warmth of spring weather. The flower motifs on the cotton pearls are so delicate and pretty. All the parts are well coordinated. In terms of earring wire, titanium wire earrings are used. Titanium earrings are nickel free and earrings for people who have a metal allergy. These earrings are commonly used in Japan because these have much less risk to cause itchy ears. 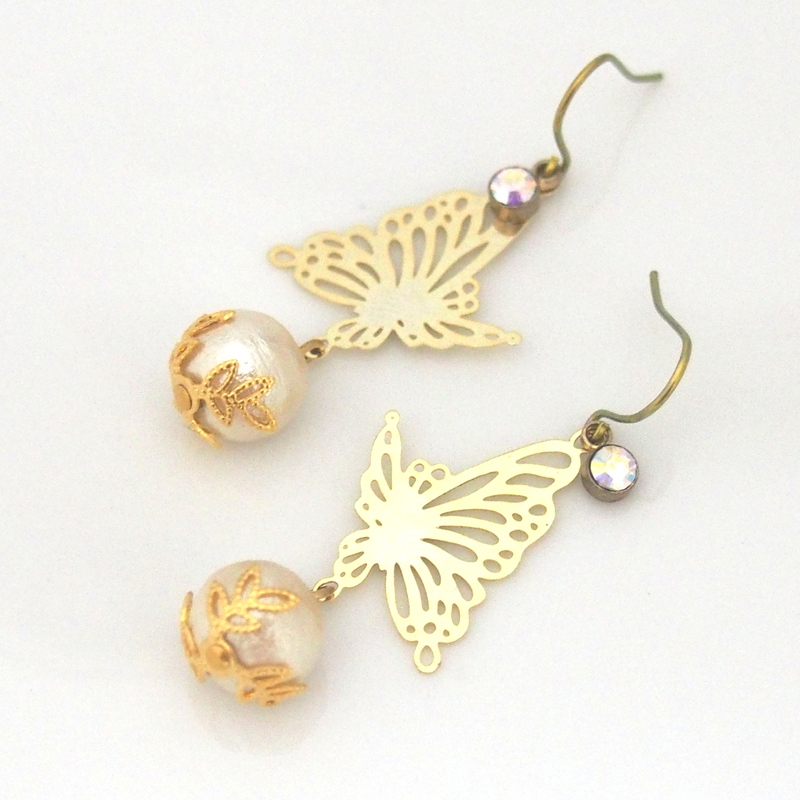 If you want to have butterflies flying around your face elegantly, please check this item at MiyabiGrace on Etsy. If you click pictures or item titles, MiyabiGrace shop opens. If you have any questions, please send a message! < Previous Want to be outstanding in elegant occasions? Rare lustrous rich gray Japanese cotton pearl necklace and earrings are PERFECT items for YOU!